Last night as we were sitting around our family room after dinner, my husband asked my daughter, “Have I ever shown you how to play Backgammon?” Our teenage daughter, with a suspicious grimace and a roll of the eyes said, “No, why?” My husband answered, “Well, I haven’t been able to get your mom or either of your older brothers interested in it so I was hoping you would want to play.” Thus insued a rousing game of Backgammon. As far as I was concerned, it always seemed too complicated and not social enough…I like games with lots of interaction. I had high hopes though, that my daughter would like it and would feed her father’s Backgammon craving so I would never be asked again. It is so special when fathers and daughters have a “thing”. Something they enjoy that is just theirs. Something that connects them. When I was younger, during my middle school, high school, and even my college years, I would walk with my Dad. We would leave our house and walk around a picturesque lake in our neighborhood that was exactly a mile around. It was our special time. The fact that my Dad included me in this part of his life gave me a feeling of worth, strength, and confidence. It made me feel loved and appreciated. There in the shadow of my Dad’s stride, I shared my thoughts, my hopes, my dreams. I sought his advice and boldly proclaimed my opinions…and he listened. So much of who I am today grew out of those walks with my Dad where I experienced a safe place in which to share my feelings and to talk about life and love and God. During my college years, as I would burst through the door after arriving home for a break, the first thing I wanted to do was to walk with my Dad… filling him in on college life and asking about everything that had happened in our small town while I was away. We talked about church, politics, religion and family life, nothing was off the table. As the years went by, those walks with my Dad shaped me…grounded me…taught me… and inspired me. I am so grateful to have experienced that special time with him. My Dad passed away at 80 years old several years ago, but he will live forever in my heart as I recall the miles we logged walking around our little lake solving the problems of the world. 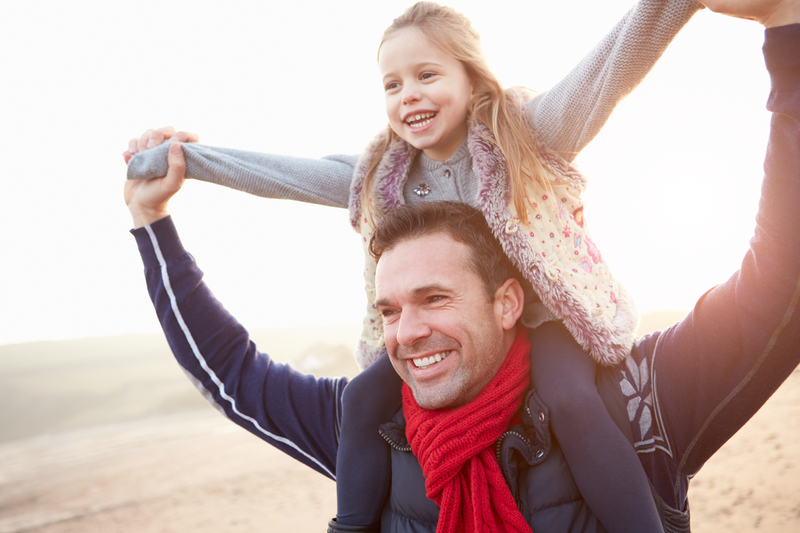 Dads…have you considered inviting your daughter into some aspect of your life where she can feel a connection with you? A special place or “thing” that is just yours? Trust me when I say, it has the potential to shape and impact her for years to come. This entry was posted in Parenting, Spiritual Encouragement and tagged daughters, parenting. Bookmark the permalink.